There is a sign pinned to the wall of Oh Wonder’s recording studio in south London, a pact of sorts, signed by the band’s two members, Josephine Vander Gucht and Anthony West, in the winter of 2012. 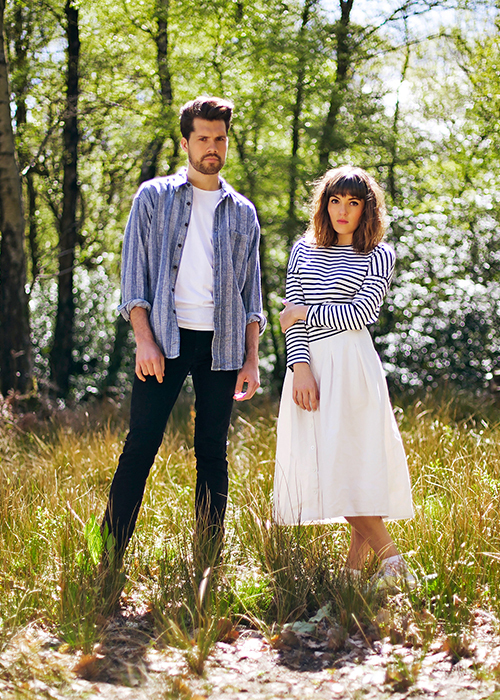 That Oh Wonder have achieved all of these ambitions in the space of just two and a half years is testament to their talent and their perseverance, but even they seem a little startled by how much more they have attained: the 20 million plays on Soundcloud, the recording contract with Universal, and now their debut album, a collection of 15 impeccably-crafted songs that explore London and loneliness, love and the need for human relationships. Vander Gucht was a classically-trained solo performer and West a singer-turned-producer whose lives and careers overlapped for several years — a run of near-encounters and half-conversations at gigs and venues, and vague introductions through musical acquaintances and mutual friends. Still, for 18 months they did nothing with it. West moved to London and released an EP as part of a duo, Vander Gucht was busy writing and recording as Layla. “But we thought it was a waste, just sitting on our computers, festering for another year and a half,” says Vander Gucht. And so they decided to post it on the internet, anonymously. That day they went to a café in east London, posted the song on Soundcloud and emailed a few of their favorite music blogs about it. Perhaps most of all, this album is West and Vander Gucht’s tribute to each other, to the partnership they have formed, the places it has taken them and the confidence they have given one another.